Mum & You co-founder, Natasha Kaplinsky OBE has been working with the Department for Education to empower parents to chat, play and read with their young kids, following research which reveals that more than 180,000 children in reception, are struggling to meet the expected language and literacy skills they need to thrive. Long term fans of Mum & You will know this is a topic close to our hearts. Our nappies display a great range of characters, but they’re not just cute designs. Our nappies are designed to inspire you to Chat, Play and Read with your babies, at changing time, and all of those other small moments that happen so many times throughout each day! Many parents may be unaware that learning starts well before school, and spending quality time chatting, playing and reading with their children can help them develop the skills they need to make friends and settle in at school. The Department for Education has developed a fun, heart-warming new follow-along video featuring Natasha and TV psychologist, Emma Kenny, which will highlight to mums, dads, and other family members, that it is never too early to help their child develop language, communication and social skills, for the best start in life. The campaign also recognises that parents nowadays live very busy lives, with a survey from Department for Education highlighting that 34% of parents would like to spend more time in learning and play activities with their children, and parents having more free time (44%) and working fewer hours (37%) as the top factors that would help ensure more opportunity to interact with their children. Busy modern lives and this lack of time could be the reason why the findings from the survey indicate that 100,000 children aged 0-5 in England never undertake any of the suggested learning activities at home. In the film, Natasha and Emma read from “Ten Minutes to Bed: Little Monster”, while also acting out some of their favourite scenes and chatting about the characters. Parents can either watch and play along or even use the video as inspiration on how to incorporate more chat and play into reading. 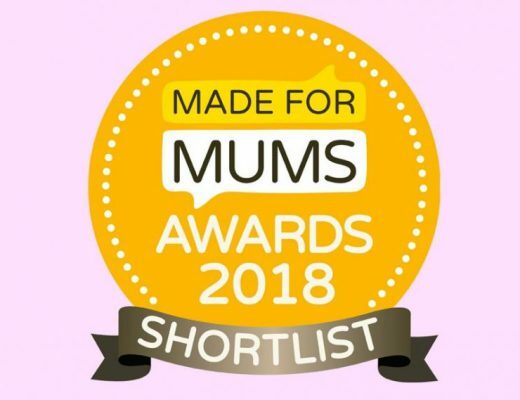 A whole host of celebrity mums and dads have also shown their support on social media, including, TV presenter Laura Hamilton, Love Island’s Nathan Massey and Cara De La Hoyde, and dancer Anton Du Beke, sharing their own tips on how they find ways to Chat, Play and Read as part of their busy schedules. You can watch Natasha and Emma’s video here.